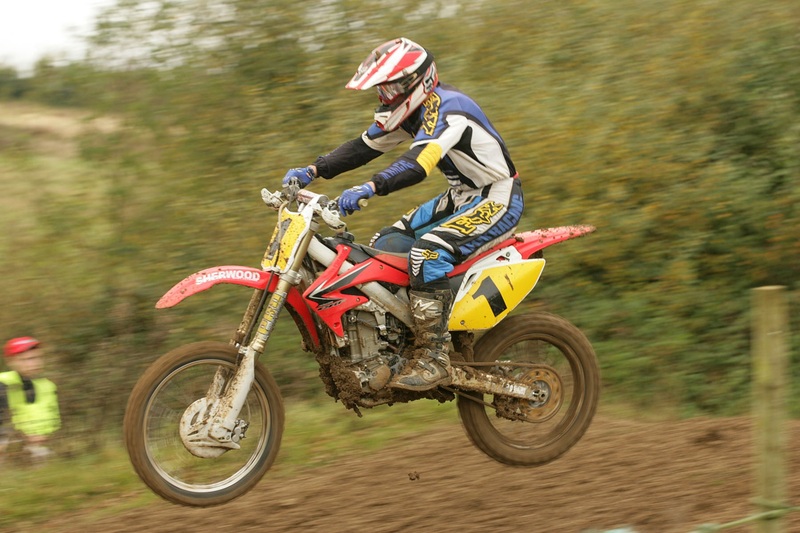 Northampton Motorcyclists Club hosted the final round of the South Midland Centre Adult Motocross Championships at Whaddon. 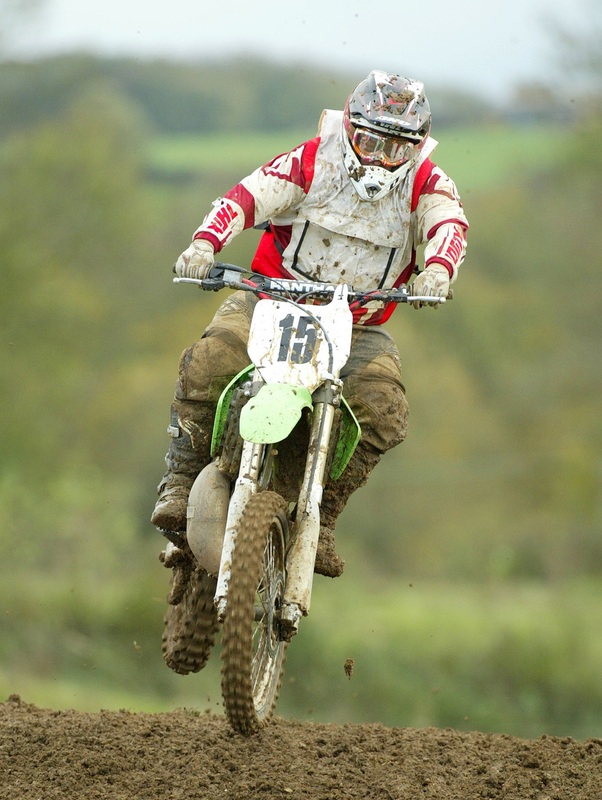 This meeting also incorporated the final round of the club motocross championships. Yet again the Centre Championships were threatened by heavy over-night rain, turning Saturday's perfect track conditions into Sunday's extreme test. 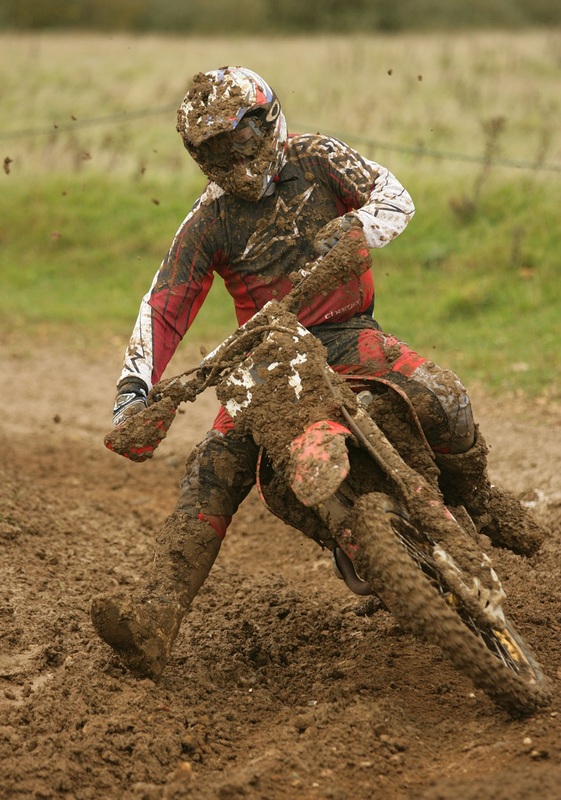 Practice took place with the rain still falling and the track slippery and wet but easily passable. 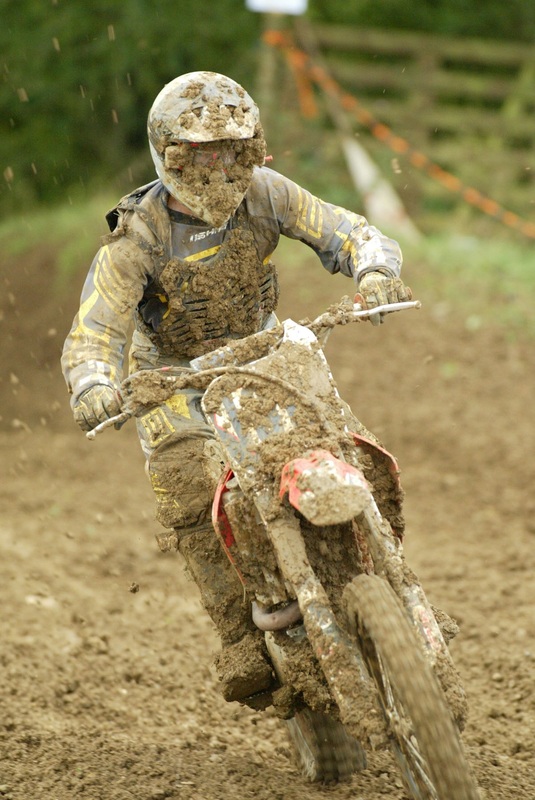 During the first block of racing however, the rain stopped and the track turned to sticky clay. 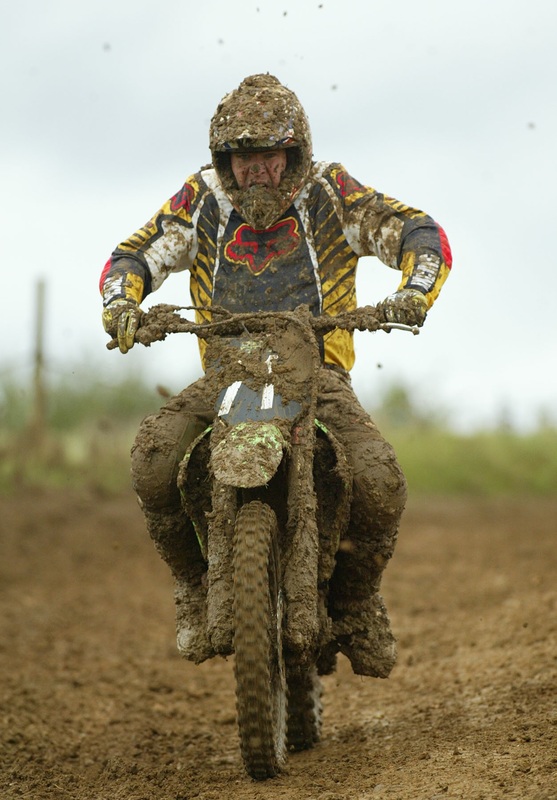 This was arguably the toughest part of the day as bikes and riders became weighed down with mud, making lap scoring very difficult. As the afternoon progressed, the sun came out and the track dried making for some fast and furious racing. In the Expert Class Paul Edge and Mark Boswell traded wins, Mark winning the first but handing the overall to Paul after a second leg fourth position. Michael McClurg finished third overall, getting faster as the track dried and finishing a strong second in the final race. In the Junior class Sam Robinson won both legs and the overall, but had the races been longer it could have been a different story. After a first lap fall Jordan Wright screamed his 125 back to fourth at the flag, and was closing in fast on Sam at the flag in the second. Paul Anderson finished third overall from Martin Streeton in fourth. In the Over 40 class Richard Wright and John Freeman reveled in the tough going, Richard getting the overall with two wins to John's one. Fraser Law and Karl Hurst finished consistently third and fourth respectively. Nigel Miller once again took a hatrick of victories in the Over 50 class, followed home by Reg Willis and Trevor Roberts. In the club championship only classes Adam Collins and Fraser Law fought closely all day for 125 class honours, with Adam taking the overall. Matt Willis was never far behind in third. Matt also took victory in the Under 30's, from Jack Barnwell and Michael McClurg. Ryan Griffiths continued to dominate the 31-39 group, followed by a consistent finishing Tony Fricker. Many thanks to the lap scorers for doing a brilliant job in difficult conditions.